Situated off the west coast of Thailand in the Andaman Sea, Phuket is a beautiful island joined to the mainland Thailand by two bridges. This Southern province of Thailand is somewhat smaller than the Singapore (which is Thailand’s largest island). The island is mainly known for its spectacular scenery, warm turquoise blue sea, stunning tropical sunsets and most importantly, the silky soft white palm-lined beaches. In the ancient time, this island used to be the part of major trading routes between India and China, also for French, Portuguese, Dutch and English traders. Thus, Phuket is not only blessed with nature’s beauty but also enriched with a vibrant history combining impacts of different cultures. 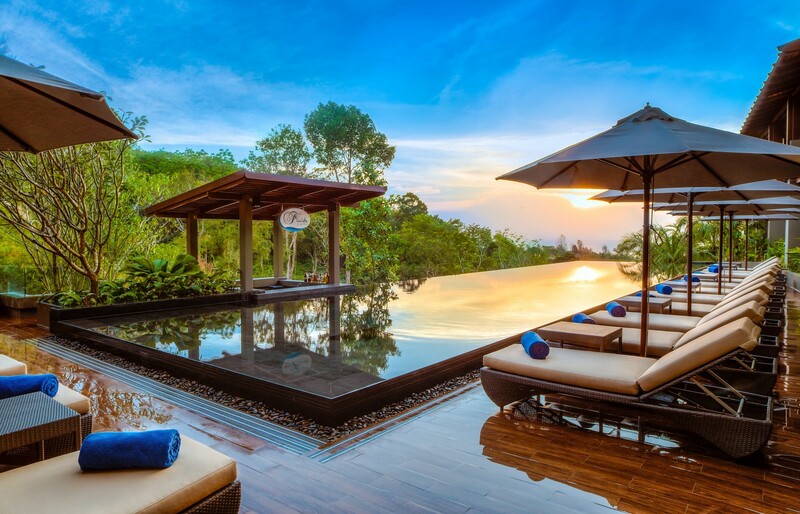 If you are visiting this city for the first time than read on to know more about the top attractions of Phuket which you must pay a visit to. 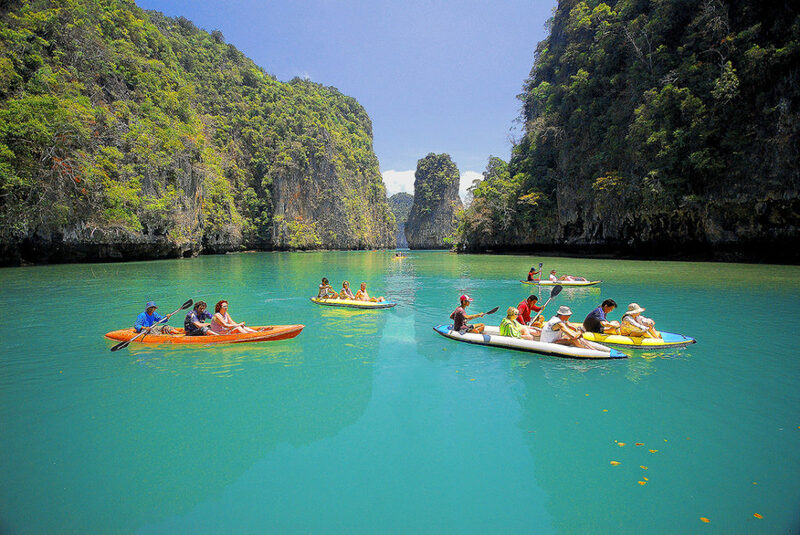 Phang Nga Bay is one-of-its kind natural marvel, a 400 square kilometer bay in the Strait of Malacca connecting the mainland of the Malay peninsula of southern Thailand and the island of Phuket. A unique feature of Phang Nga Bay is the limestone cliffs protruding out of the emerald green waters and the scenic location. A famous landmark of the Phang Nga Bay is the James Bond Island that was featured in a James Bond film- “The Man with the Golden Gun”. Another favorite rather most photographed spot is Koh Panyee. People who love exploring the history and historical places of any destination will surely love to visit the Old Phuket Town. Here, one will get to discover the ancient part of the province. Different from other many Thai provincial capitals, it is dotted with old shrines, tiny printing shops, ornate and quaint cafés, beautifully preserved ‘shop-houses’, etc. As per history, this town was built on riches harvested from Phuket’s tin boom of the last century (the time when metal was an extremely valuable commodity). An additional special feature of this town is the unique pretentious Sino-colonial mansions (which once occupied by Phuket’s tin barons of 100 years’ ago). Phuket is dotted with Wats (which literally means Buddhist temples) and an iconic symbol of Phuket as majority of Thai people follow Buddhism. In total, Phuket has 29 Buddhist temples. Amongst them, “the Wat Chalong”, situated in the Chalong Subdistrict, Mueang Phuket District are dedicated to two very venerable monks, Luang Pho Chuang and Luang Pho Chaem. It is believed that known they led the citizens of Chalong (fighting against the Chinese rebellion in 1876) and helped the injured people with their knowledge of herbal medicine. A unique edifice, rather landmark of Phuket, Big Buddha is the most honored as well as visited attractions of the city. This huge sculpture is located on the top of the Nakkerd Hills that is located between the Chalong and Kata. This easily identified rather landmark of Phuket is of 45 metres high. This revered site provides the pictorial views of the entire island. Apart from these, while in Phuket don’t even give a chance to miss the nightlife of Phuket. Don’t forget to visit the Bangla Road, enjoy various exotic shows such as Simon Cabaret Shows, Phuket FantaSea Show and Thai Boxing (Muay Thai) shows etc. 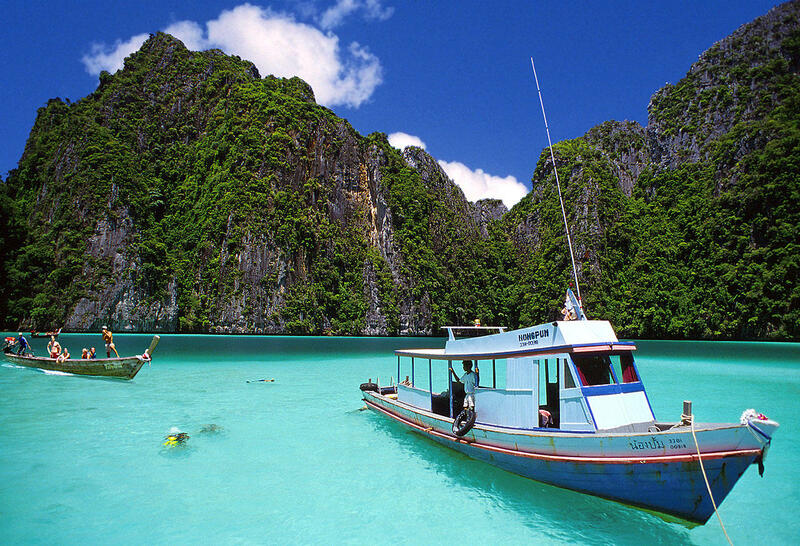 Already excited to visit Phuket? What are you waiting for? Visit Thaiarrivals.com and book a tour now!